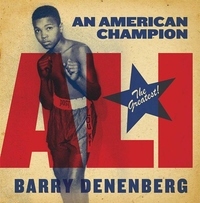 The impressive life story of Muhammad Ali is interwoven with vital moments in American history in this visually stunning, full-color biography. The story of famed boxing champion Muhammad Ali is more appealing and accessible than ever before when told as though it's happening in real time, through photographs and ephemera such as report cards and training regimens, and through newspaper articles, interviews, letters to the editor, and "breaking news" radio and TV transmissions that have been created by the author based on his extensive research. From the Civil Rights Movement to the Rome Olympics, from joining the Nation of Islam to refusing to fight in Vietnam, Muhammad Ali's fascinating life is interwoven with historical moments throughout the twentieth century to today.